Horus, Egyptian Falcon God is in the shop, and he’s amazing! 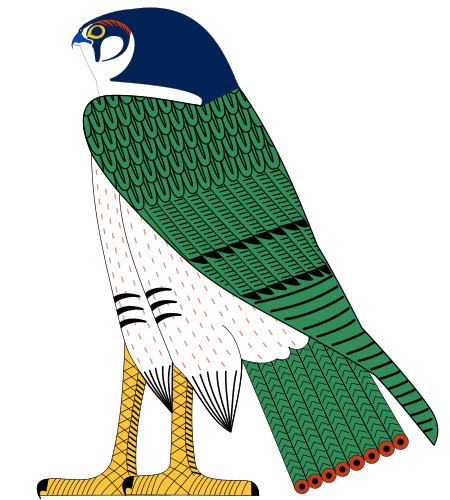 Horus is recorded in Egyptian hieroglyphs as ḥr.w; the pronunciation has been reconstructed as *Ḥāru, meaning “falcon”. Additional meanings are thought to have been “the distant one” or “one who is above, over”. Gale Washington has designed this great new intermediate level pulled thread design to allow us to practice and perfect some of the basic Pulled Thread Stitches. The design is partially charted and partially pre-drawn on white 30 count linen. The stitches may be practiced and placed, at your discretion, in the cartouche-like bar at the right of the design, or you may follow the charted sampler provided. Both value and line will be discussed as they apply to this design. Six Pulled Thread stitches, some with variations, stem outline stitch, running stitch and seed stitch will be worked using perle cotton and metallic thread. 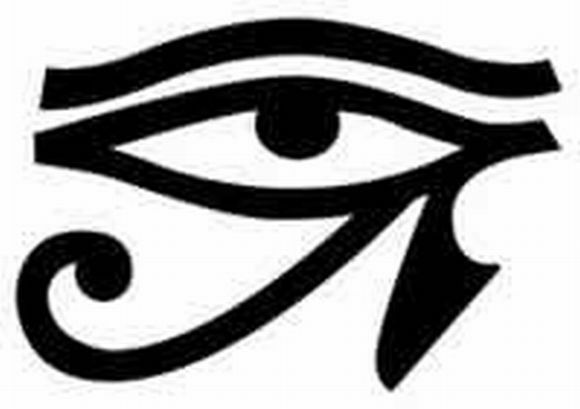 A Swarovski crystal embellishes the eye of Horus and completes the design. 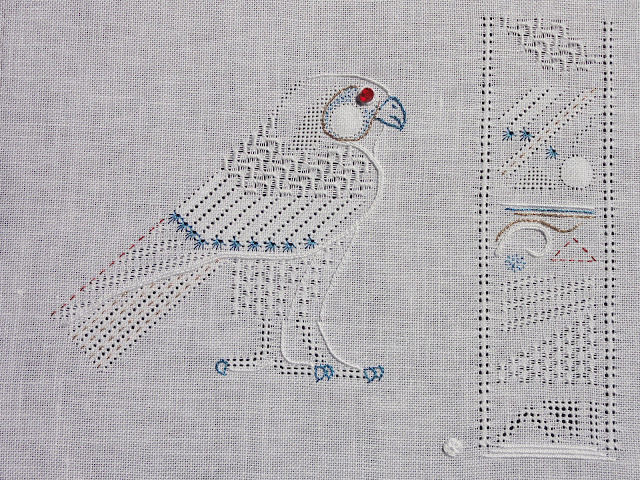 Consider joining us June 2nd and 9th for this journey into ancient Egypt and the world of Pulled Thread Embroidery as only Gale Washington can teach it. ny chance of a cyber clas? 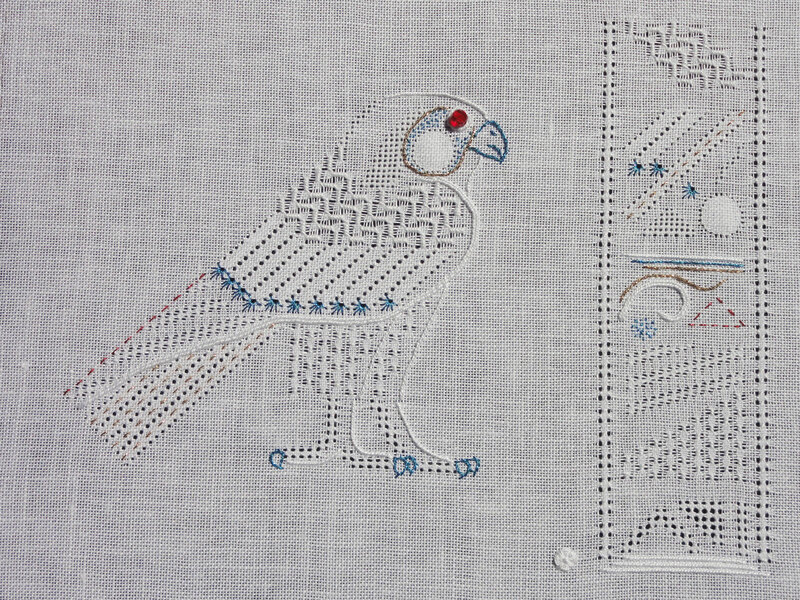 I love pulled thread work, and this would be the perfect memento of our trip to Egypt – we were even in the Horus Group during shore visits while on a Nile cruise. What could be more perfect? Yeah Gale: I finished Horus in 2016, and he looks pretty good if I do say so myself. How are you doing? Been wondering. 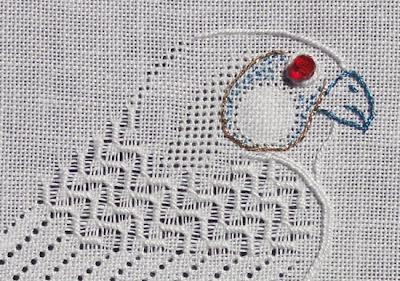 Wanting to learn more about pulled thread for a future project.